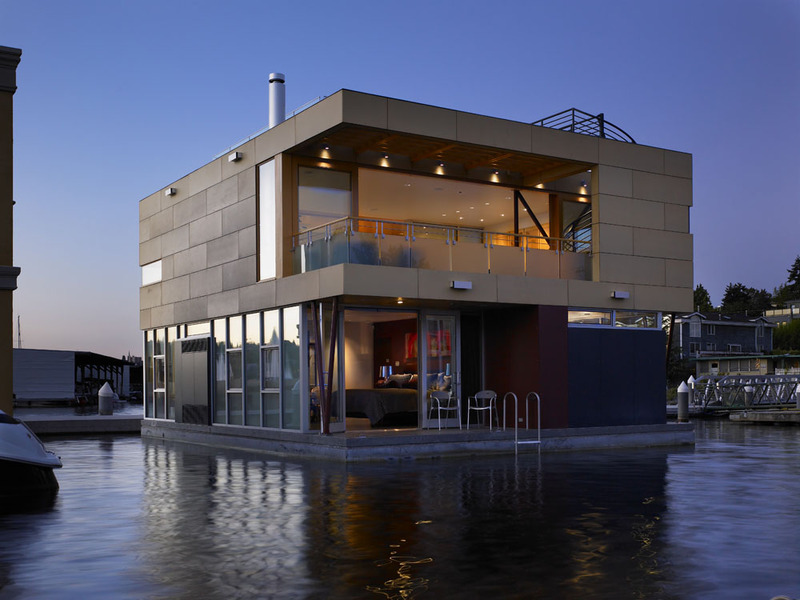 Building a house over water can be challenging, but floating homes offer a unique way to connect with the landcape. 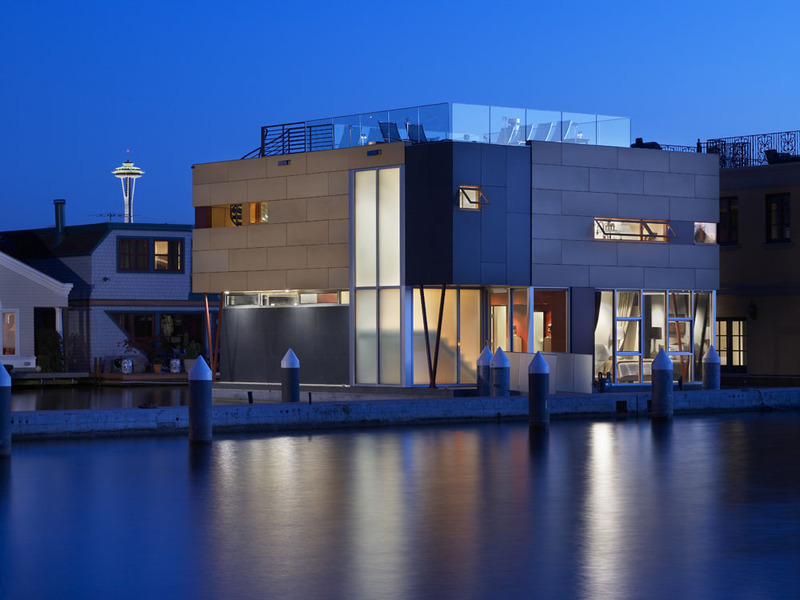 When Vandeventer + Carlander Architects, LLC were asked to create a Lake Union residence, it was assumed that they would be thinking outside the box, but oddly this time their thinking was required to be within a box. 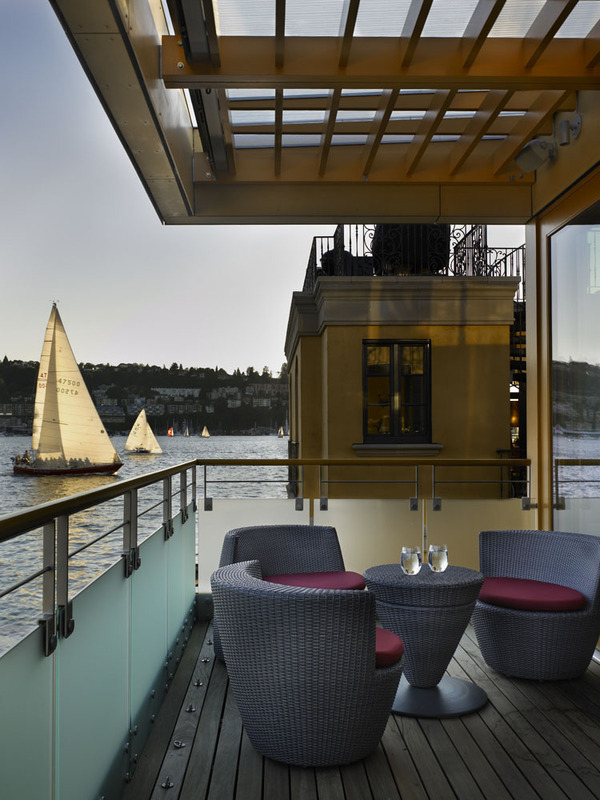 The Lake Union Floating home, located in the heart of downtown Seattle, is not the only residence of its kind, although it is far from being a commonplace building type in the United States. 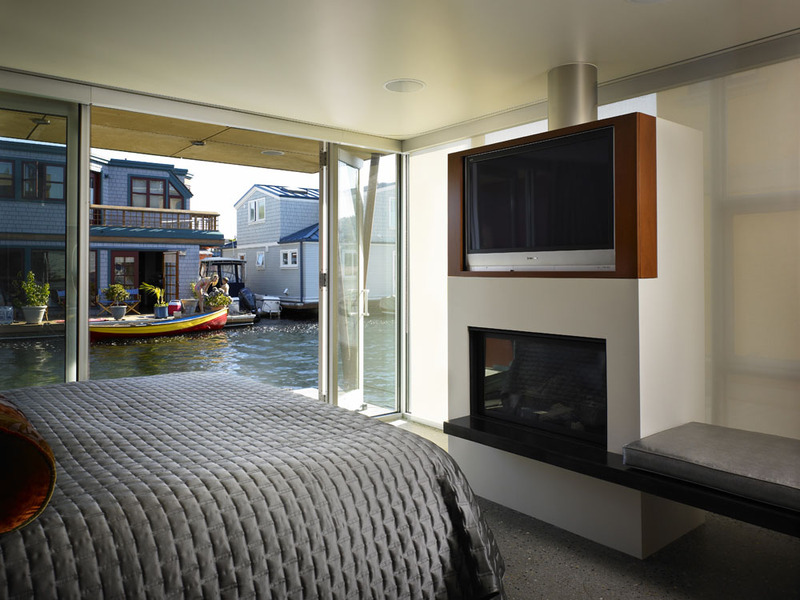 The landscape in the Seattle region is interlaced with waterways and has a long tradition of floating homes that take advantage of the area's gorgeous scenery. 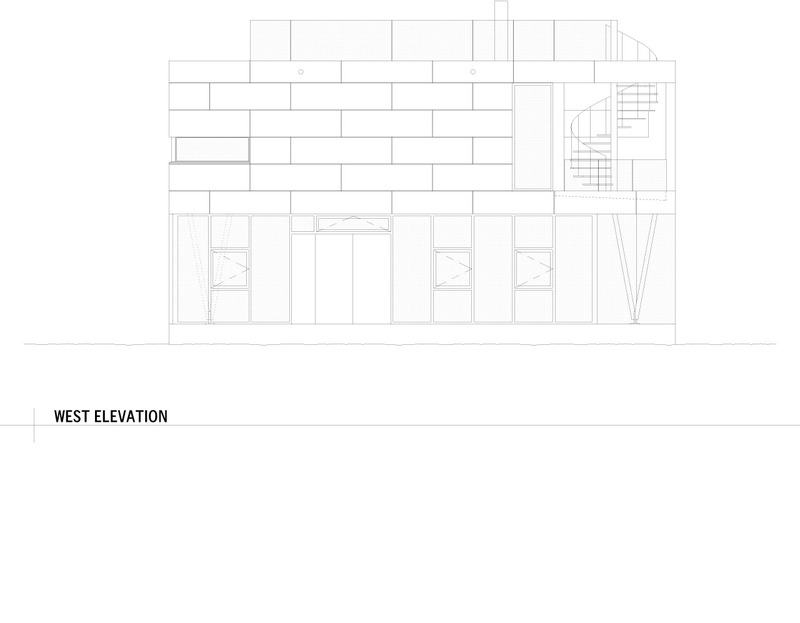 However, construction of the Lake Union Floating home presented challenges as well as advantages, and Vandeventer + Carlander Architects’ design navigated the site’s limitations while capturing its many assets. 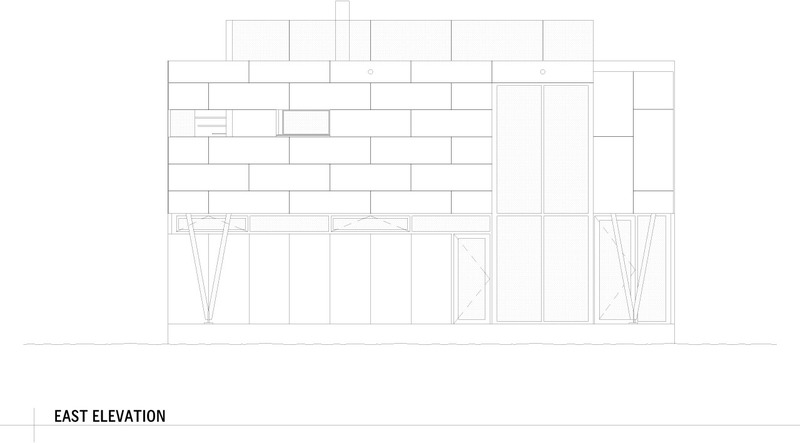 In order to keep the design of the floating home interesting while working within the limitations of the zoning ordinance, the architects carved into the structure to create variety, playing not only with physical depth, but with light as well. 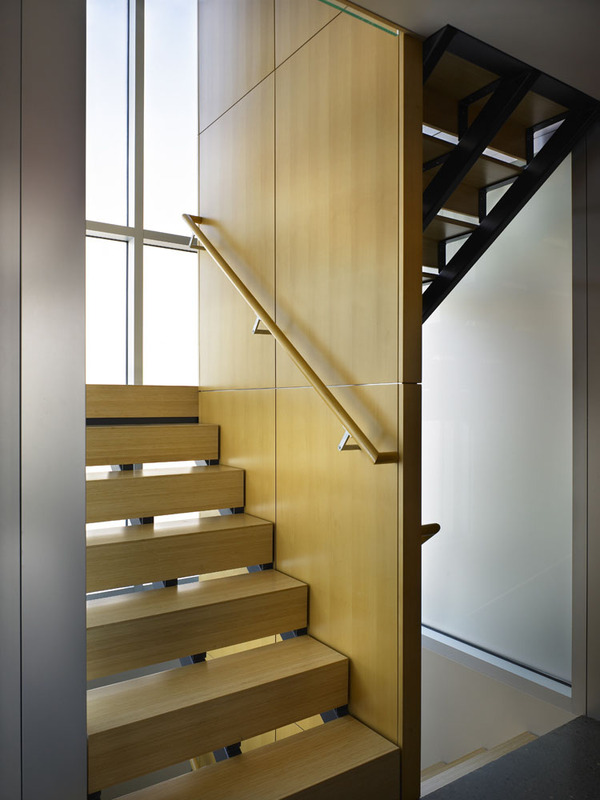 The building materials were carefully selected to open up the structure and break it from the confines of its harsh, cube-like containment. 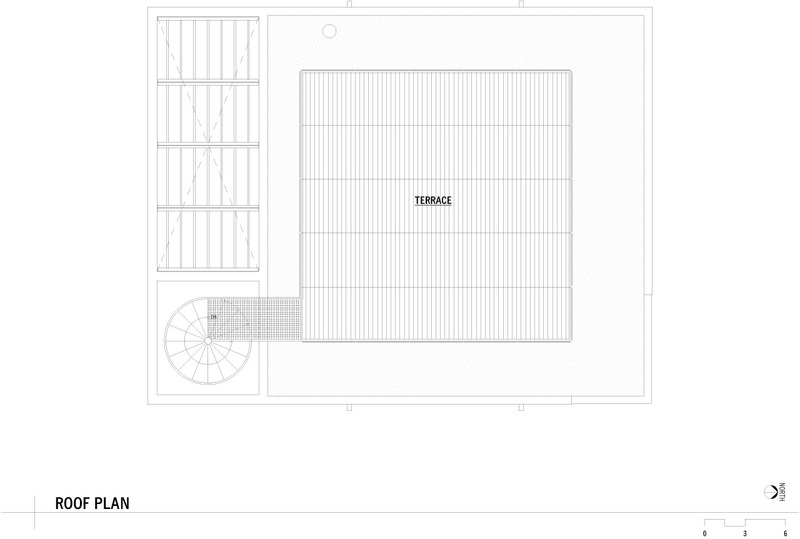 Because the size of the home was so drastically limited by the footprint of the float and the height restrictions, measures had to be taken to open up the internal space as well. 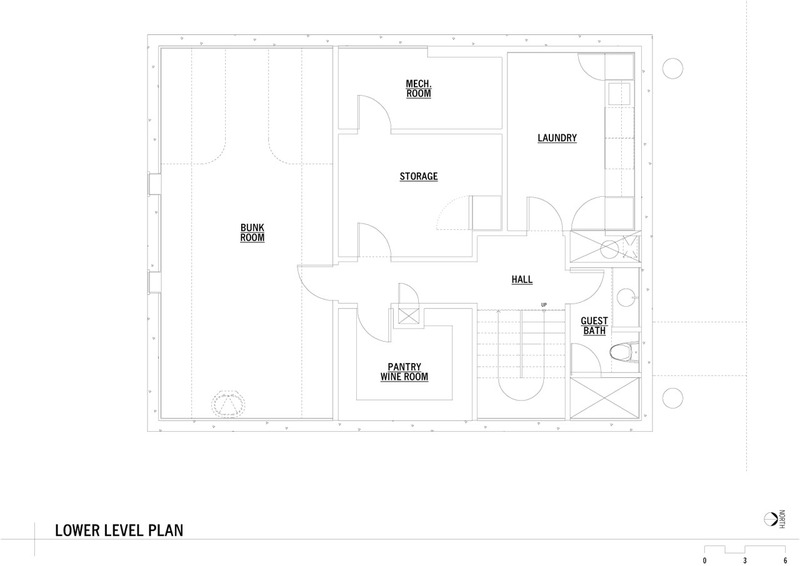 The architects’ solution countered the usual living space layout: “We made a decision early,” Carlander tells us, “that the main living area of the floating home would be up on the second floor, and the private rooms would be down on what we call the float level or the first level. This was really done for two reasons. 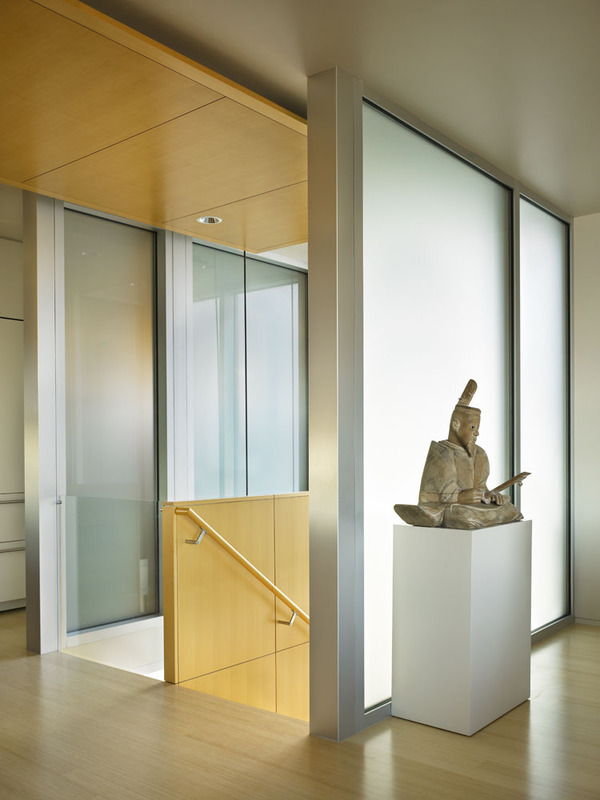 One was that the views from this particular home are better attained by actually going up a level, and, two, the clients really enjoyed entertaining. 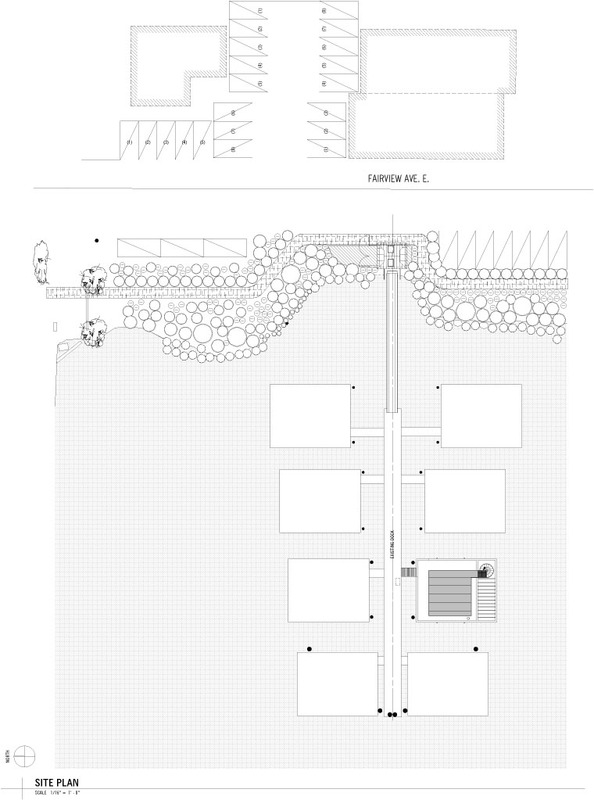 When they throw a party, it oftentimes has more people than less, so we wanted to utilize the roof then as a large space for outdoor entertaining. 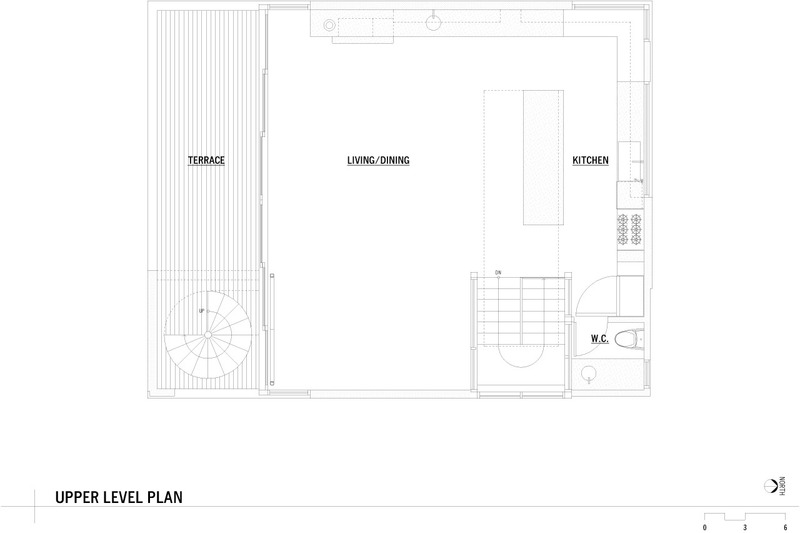 It just made sense that the kitchen and other facilities would be on the second floor, and thereby only have a one level change up to the roof and the view terrace at that location." 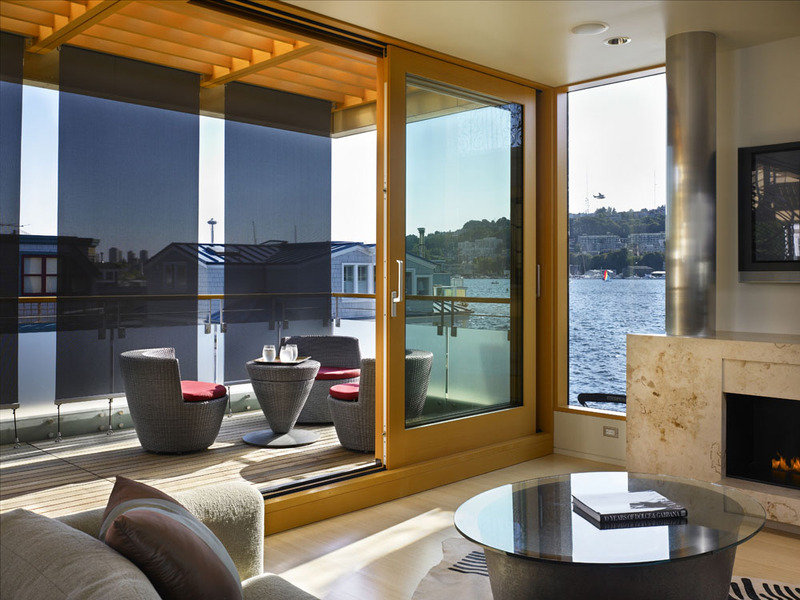 Although the Lake Union Floating home feels very much like a home, it is important to keep in mind that there are sensory implications in its being a floating home. 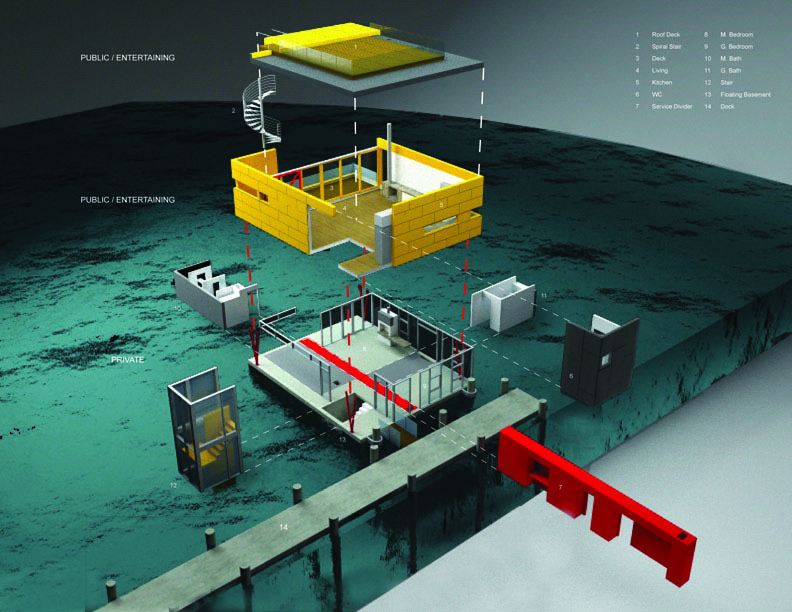 Carlander explains, “Floating homes are a different bird than land-based projects, because there really is just a different quality to being on them that is akin to being on a boat. I have a sailboat and I’m very sensitive to the feeling of being able to wake up, smell the water (in a positive way), and hear the lapping of the water against the side of the floating home. It’s just a really immediate, sensory connection to the water, and it’s something we try to enhance. 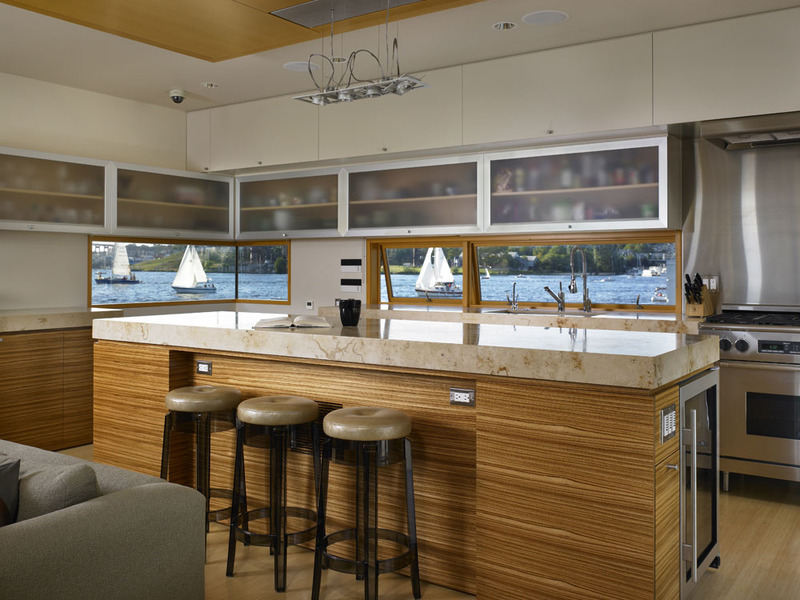 In that vein, all of the glass, all of the windows and doors that open up, are specifically done in a way that enhances that quality of being on the water.” Vandeventer + Carlander Architects attempted to tap into all five senses in creating the interior and exterior space of the floating home. 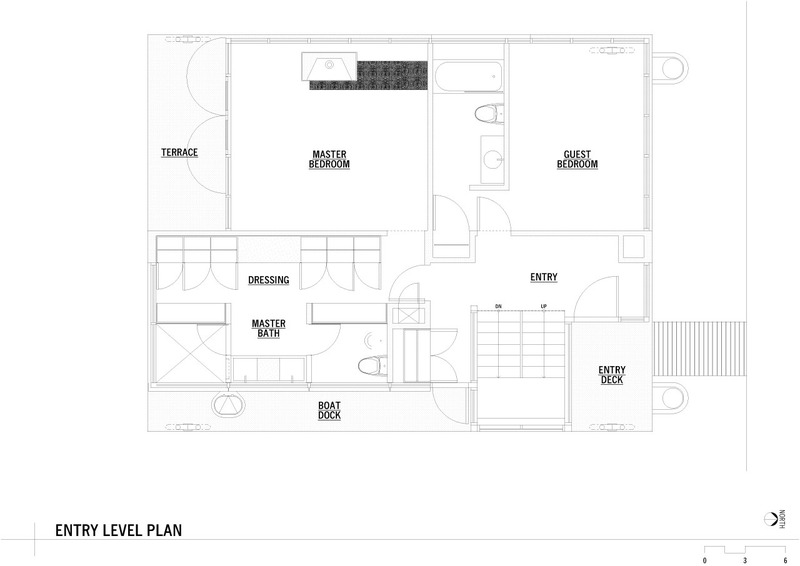 These characteristics offer the resident a unique experience within the space, which proves to be a defining point of the design. 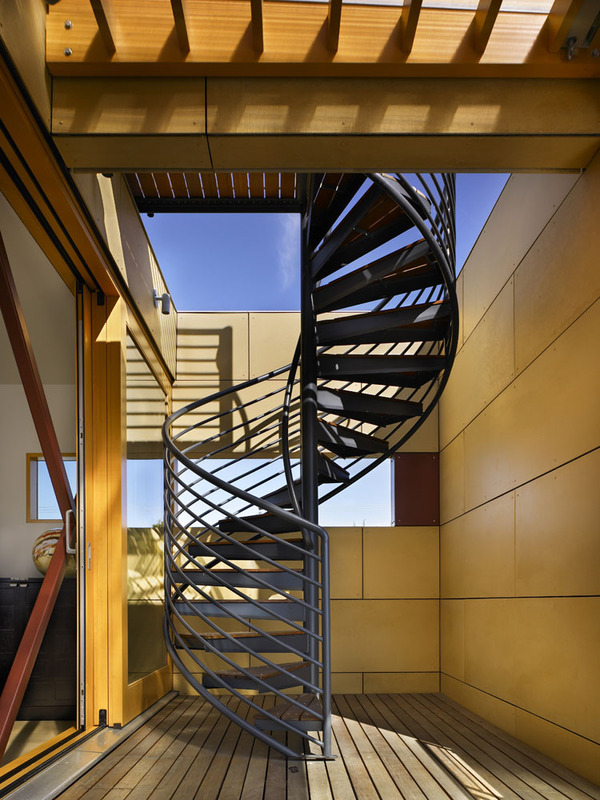 While the limitations of the site provided a challenge for the architects, these limitations were met with creative solutions in order to deliver to the client a home that is functional, aesthetically interesting, and embracing of the sensory nature of the location. 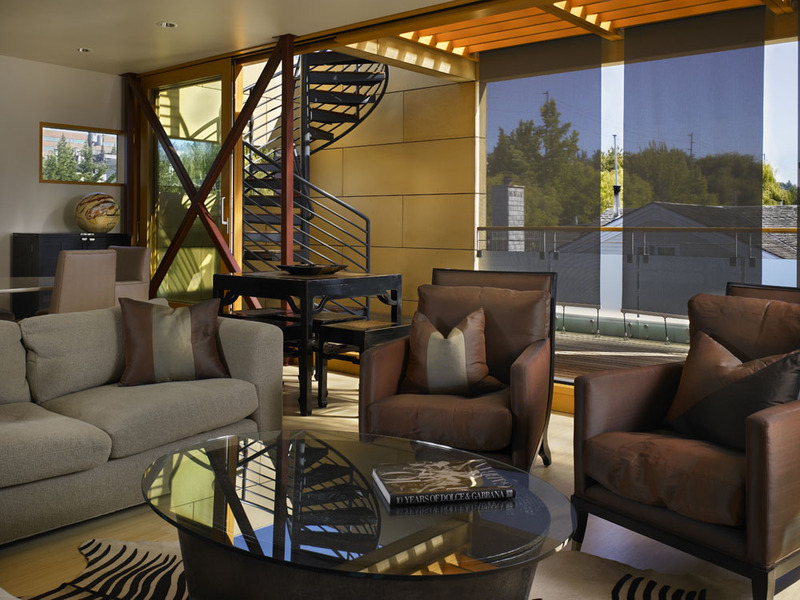 By thinking inside the box, Vandeventer + Carlander Architects developed a sophisticated process that has contributed positively to the growing stock of floating homes worldwide.